"We got super lucky, didn't we?" 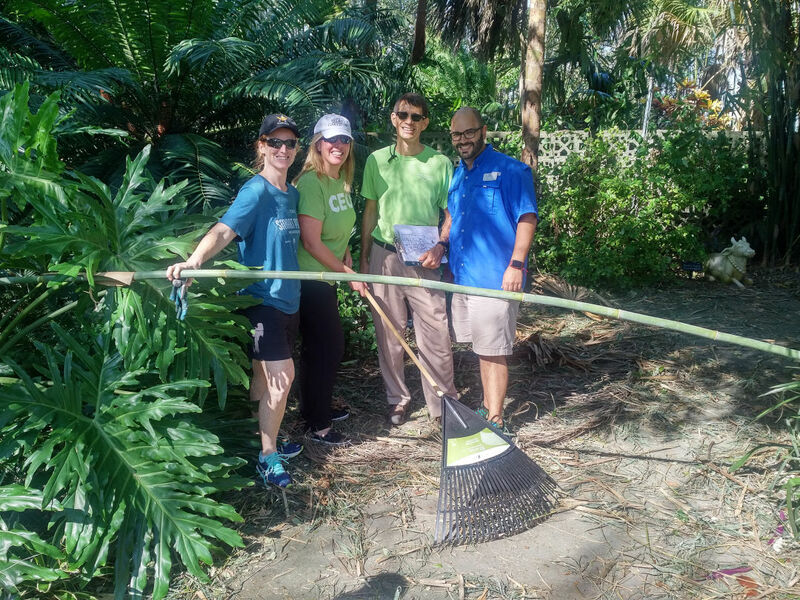 Selby Gardens' Mischa Kirby, Jennifer Rominiecki, Mike McLaughlin and Roger Capote on clean-up detail after Hurricane Irma. Rominiecki says they are aiming to reopen before the weekend; visit selby.org for updates. “We got super lucky, didn’t we?” says John McCarthy, executive director of Historic Spanish Point, the 30-acre outdoor bayfront museum in Osprey. None of the historical or reproduction buildings sustained damage, and neither did the replica boats. “Volunteers filled them with water, which kept them heavy and in place, so the boat yard came through fine,” says McCarthy. Several big oak trees on the property were uprooted, as were some beautiful ancient cedar trees in the fern garden behind the Guptill House, “but not the trees we are most famous for, like out on the point,” he says. The Historic Spanish Point team is busy raking trails, pulling broken limbs out of trees and making the property safe for opening the primary trails Thursday. “If people want to come out and enjoy the fresh air, and bring their dogs, we’ll be open then,” he says. 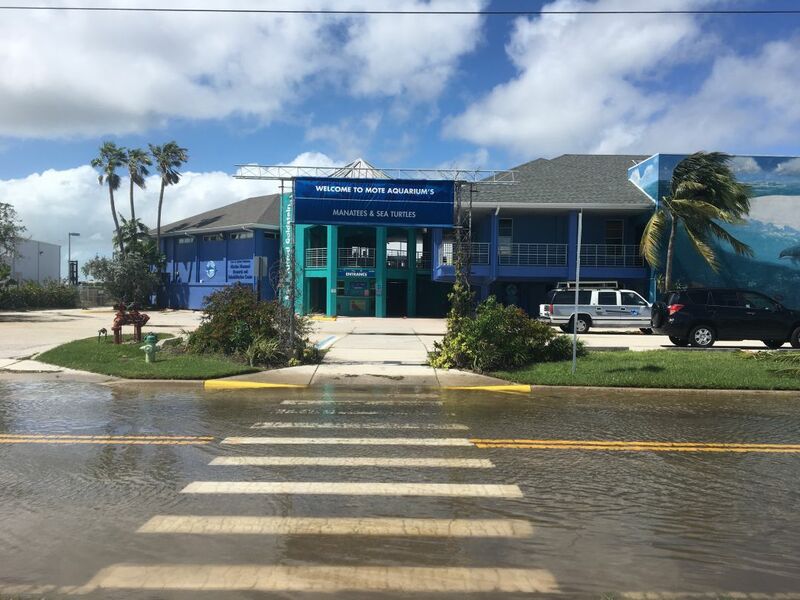 Street flooding in front of Mote.